My boys have eaten cheese enchiladas probably every single time we’ve eaten at a Mexican restaurant since they were toddlers. They love them. Now that they are older, they order a combination plate when we eat Mexican, but one of the items on their plate is always an enchilada of some sort. 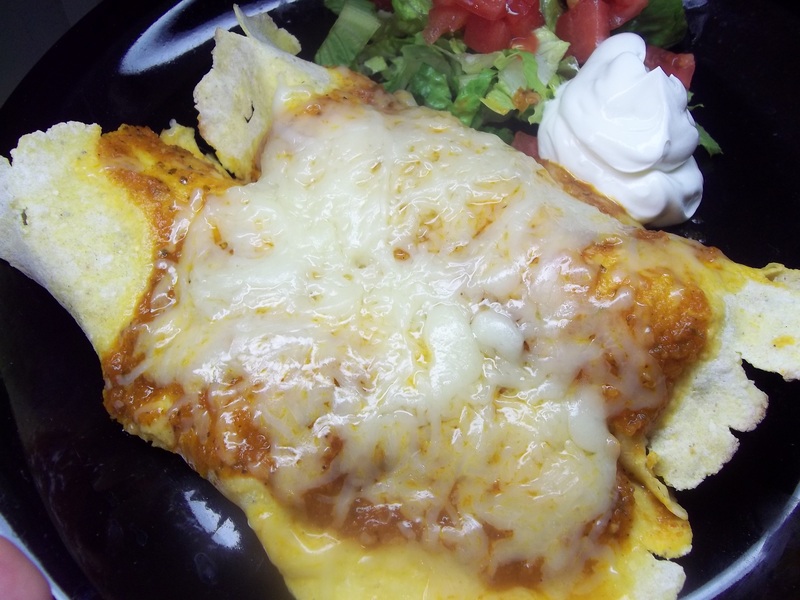 They were happy when I told them what I was up to in the kitchen when I made these chicken enchiladas. It took all afternoon, but was worth seeing the satisfied faces. It was requested that I double the recipe the next time I make them so we will have plenty of leftovers. My thoughts, exactly. I will also use a double batch of sauce next time to completely cover the enchiladas before baking. I don’t use a slow cooker much, but after I had all of this going, I realized it would have been a perfect opportunity to use mine. Place all ingredients in a stock pot and simmer over low to medium heat for 3 hours. Shred chicken with two forks and reduce liquid until chicken is just moist and has absorbed the flavors. Pour a bit of enchilada sauce into the bottom of a 13X9X2″ baking dish. Place a line of shredded chicken down the center of each tortilla. Add a topping of cheese. Roll up and lay side by side over sauce in baking dish. Cover with more sauce and cheese. Bake 30 minutes. Serve with tomatoes, lettuce, and sour cream. Note: This recipe makes 10 enchiladas. I would use double the recipe of sauce.